In a marketplace that can be ambivalent about purchasing luxury goods, particularly among Millennials and the Gen Z set, one game-changing bedding brand—cloudten—is garnering more than its fair share of A-List attention. 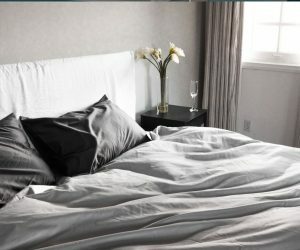 Beyond an array of performance athletes like tennis pro Genie Bouchard, NFL Hall of Fame wide receiver Terrell Owens and the United States Olympic gold-medalist swimmer Ryan Lochte reportedly basking in this uber-premium bedding, throngs of wealthy celebrities, international models and musicians like Miley Cyrus, Post Malone and Third Eye Blind are slumbering with cloud just the same. 1. Price transparency: Our same price, any size bed model is completely unique in the industry and speaks to our desire to be authentic and honest throughout our approach. We don’t advertise our twin price, and then gouge customers for twice that amount on a normal Queen or King purchase. What you see is what you pay. 2. Streamlined selections. At cloudten, we intentionally don’t overwhelm customers with hundreds of options and design variations. Instead, we selected two different, yet incredible, material options in Percale and Sateen Egyptian Cotton, and work with five designer-selected colorways. We choose to focus on quality through a tasteful selection of options instead of simply throwing anything onto the market. 3. Image is everything. A very real difference between cloudten and other brands on the market is our youthful, modern branding and marketing choices that offer a much-needed jolt of lighthearted fun and sexiness to an otherwise dull and outdated market. 4. Redefining ingenuity. cloudten as a brand is focused on disrupting an industry whose so-called “innovators” simply took the same interior design-focused bedroom photography and placed it on Instagram. Starting with bedding but with full plans to expand to everything that speaks to “end of day comfort,” we are taking a purchase-necessity and making it a fun and involved process from social media and customer interaction to influencer collaborations. 5. Obsessive customer care. cloudten has a customer-always-first approach to customer service. It’s why we offer an industry-longest 100-night trial, where customers can return their bedding for any reason if they don’t love it (which very few choose to do). Our customer support team is world-class and available to help customers with decisions or problems 24/7 through phone, email or chat on our site. Must Read: Is Sony’s Venom bad? Early reactions are in! 6. Authentic eco-consciousness. The bedding industry is definitely turning an eye to sustainability as it finally comes under the same customer demand as clothing has for a while now. Luckily, cloudten had sustainability and manufacturing ethics as a core of our business from the beginning. Produced in a facility running exclusively on clean bio-steam, never using chemicals throughout our washing process, and only working with facilities with minimum wage, maternity leave and paid time off have been crucial to us, despite lower margins as a result. Beyond Holland’s own branding prowess, cloudten is owned and operated by two other innovators who have greatly facilitated the company’s rapid growth and success: Co-CEO’s Margarita and Igor Poluyko. They are both veterans of the bedding industry, operating the world’s highest-selling bedding brand Mellanni Fine Linens–ostensibly Amazon’s leading bedding brand with over 40,000 positive reviews on that platform, alone. Their combined product and fulfillment knowledge, as well as obsession with world-class customer service, perfectly complement Holland’s out-of-the-box branding style and forward thinking marketing techniques. Brilliant branding aside, the product must, of course, stand on its own merit…and it does. I’ve personally tested one of the company’s bedding bundles and marveled not only about the apparent quality and comfort but also, performance-wise, the temperature-control…a grave shortcoming for many sheet sets. In addition to their Percale Sheet options that are crisp, lightweight and stonewashed for a stay-cool matte finish, on the silkier side they have an Amora Sateen Sheet Set bundle. Billed as “an entire sleep experience built for today’s true bed lover,” this all-in-one solution features soft, smooth, and weighted luxury sheets, two cool pillowcases, and a fluffy, buttery duvet cover that boast 100 percent hyper-combed, long-staple Egyptian Cotton. I personally enjoy intentional weighting of sheets, though if lighter is preferred the Percale option is a great alternative. As to some of the company’s near-and-long-term goals, Holland revealed that, in the short term, the company aims to continue adding modern options to its customers, such as sets without top sheets, while maintaining a focus on insane product quality. For the long term, he divulged that cloudten “will evolve into a brand known for everything you’d like to have near you at the end of a long day–from candles and bedtime clothing to a few other fun surprises we have in mind. We will also continue to collaborate and work with the world’s leading performance athletes and influence-wielders to push the trend-forward brand toward the forefront of modern thought.” It’s certainly a strategy that’s indubitably delivered thus far.